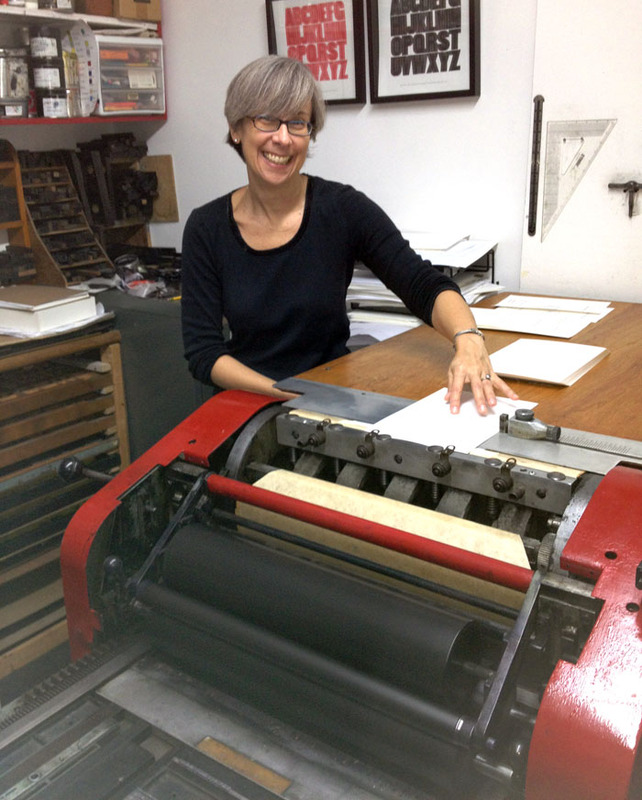 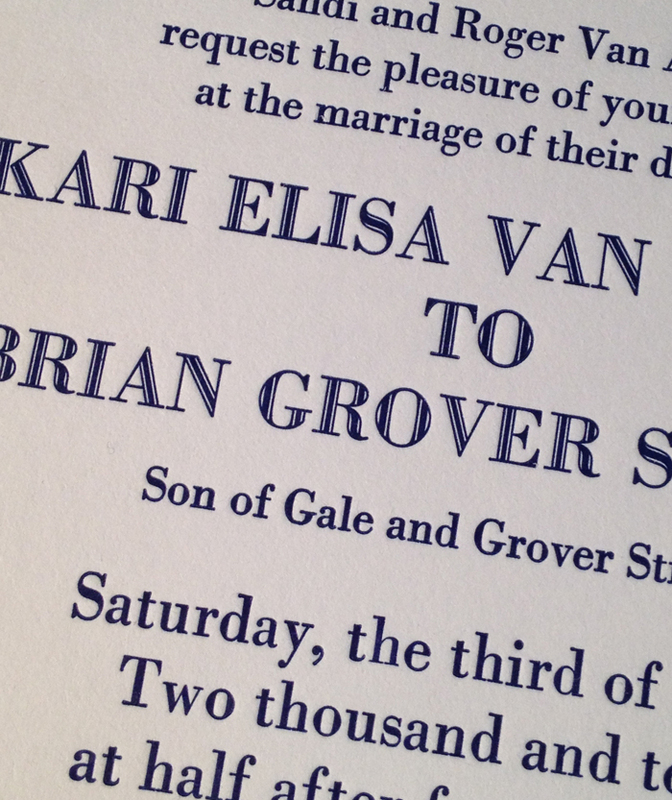 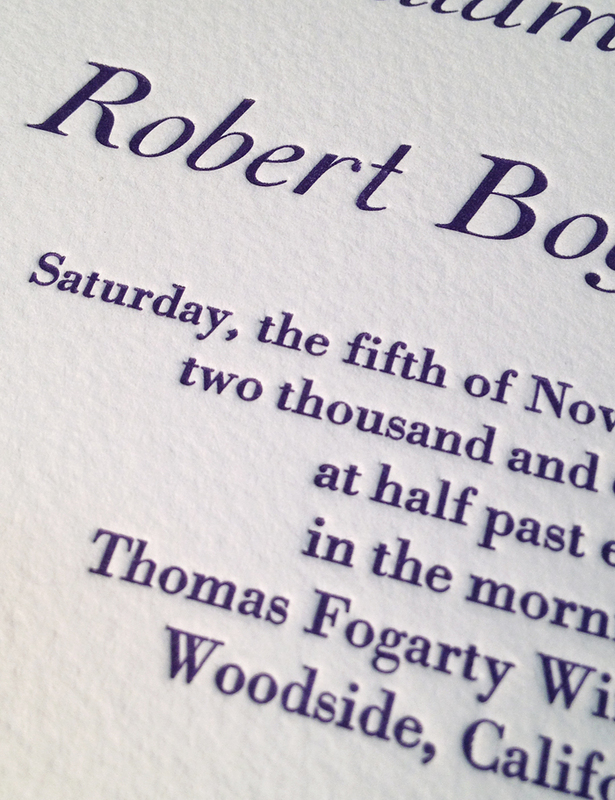 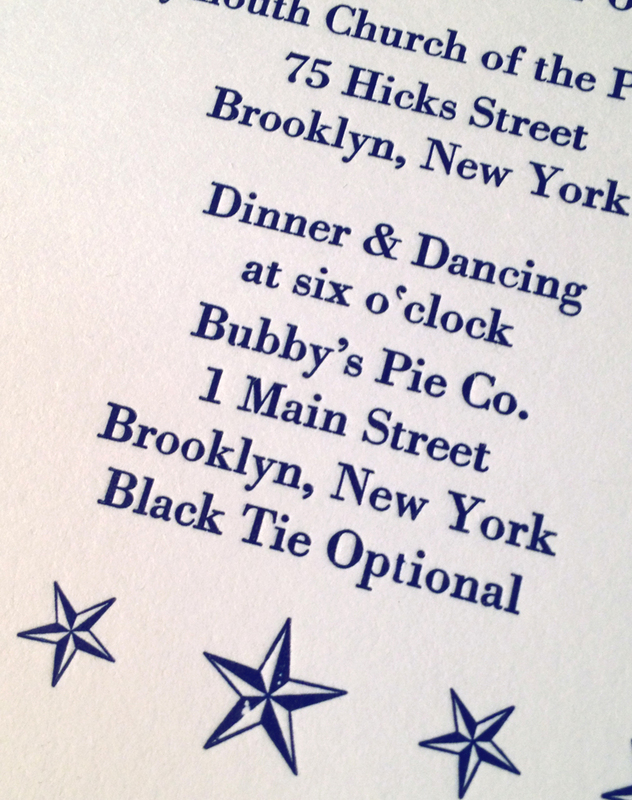 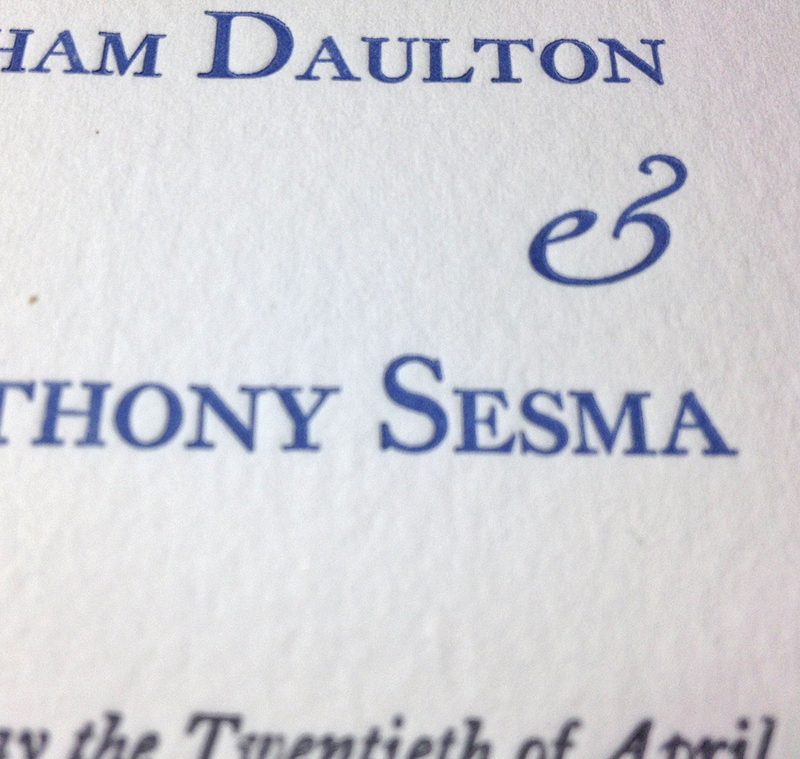 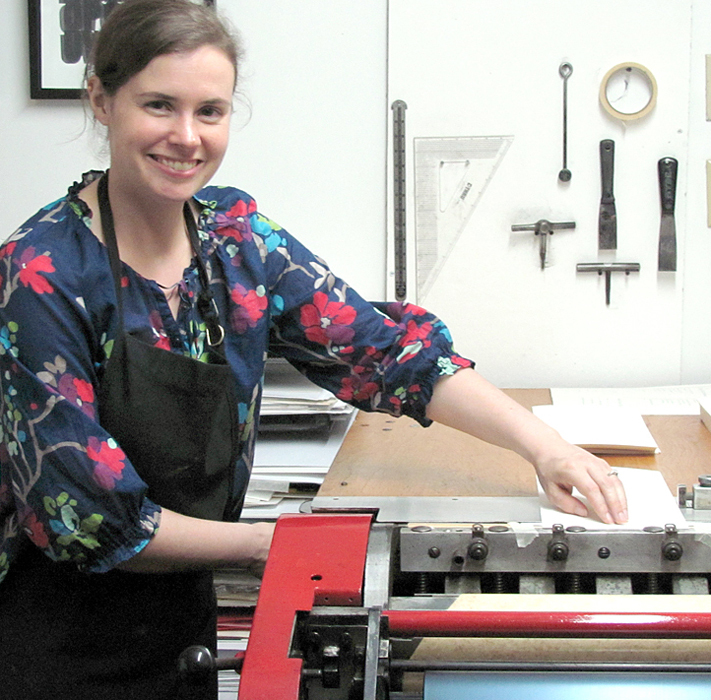 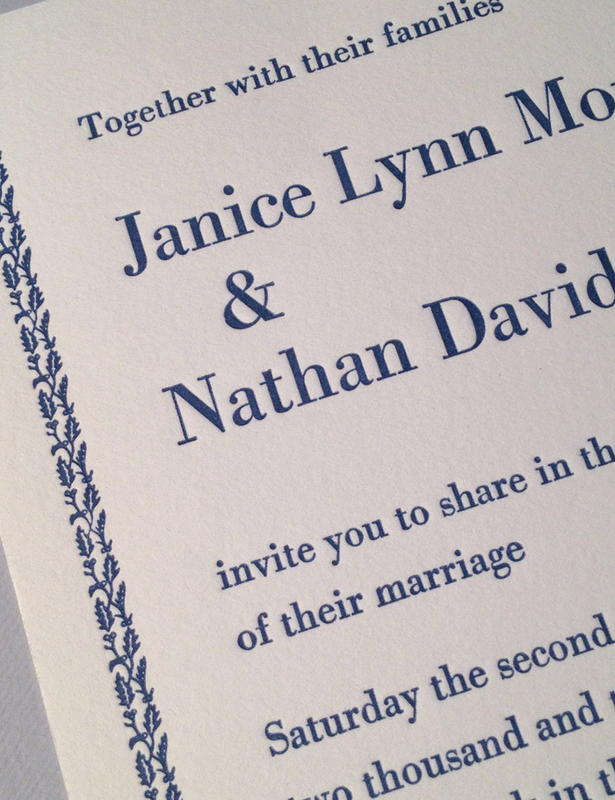 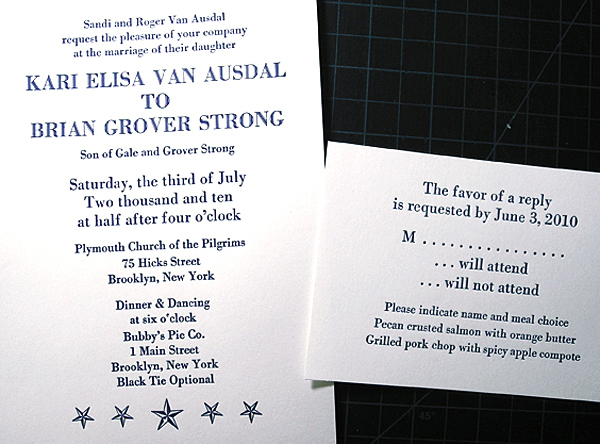 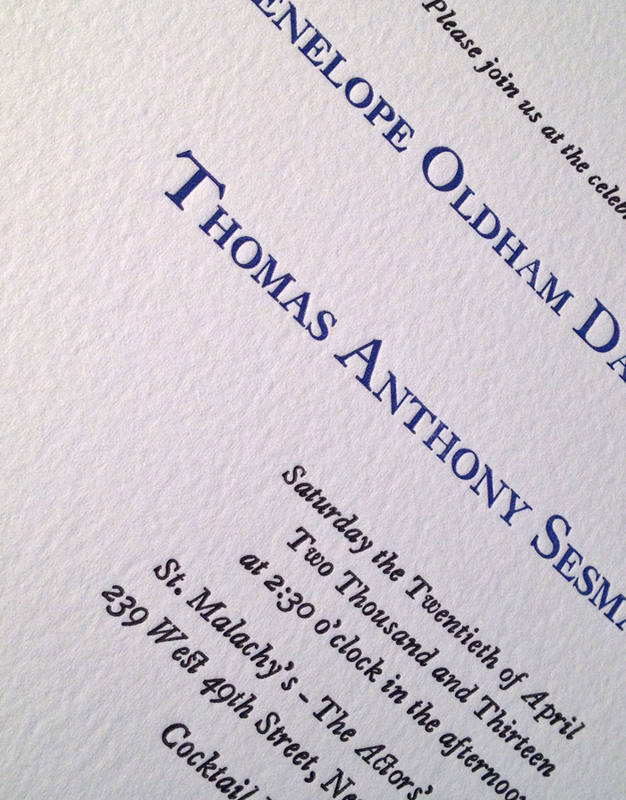 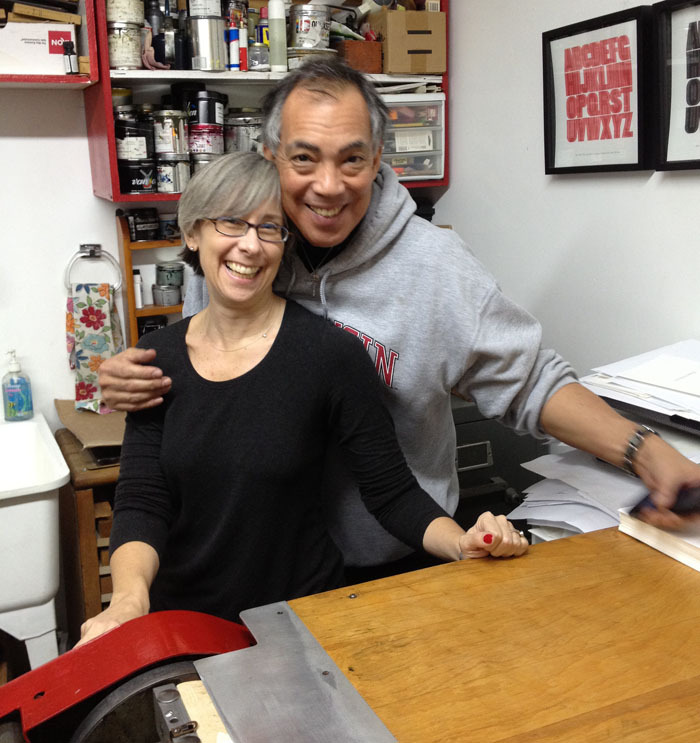 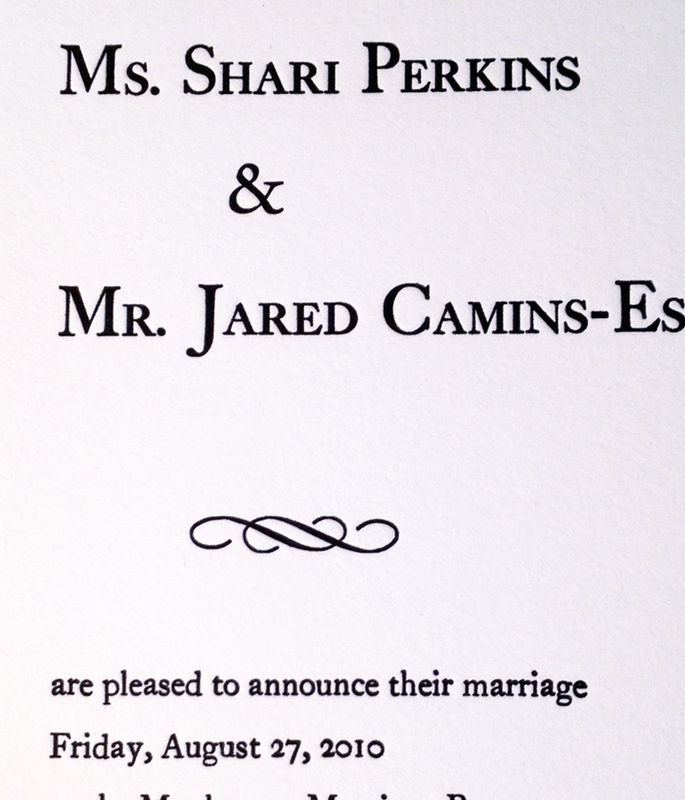 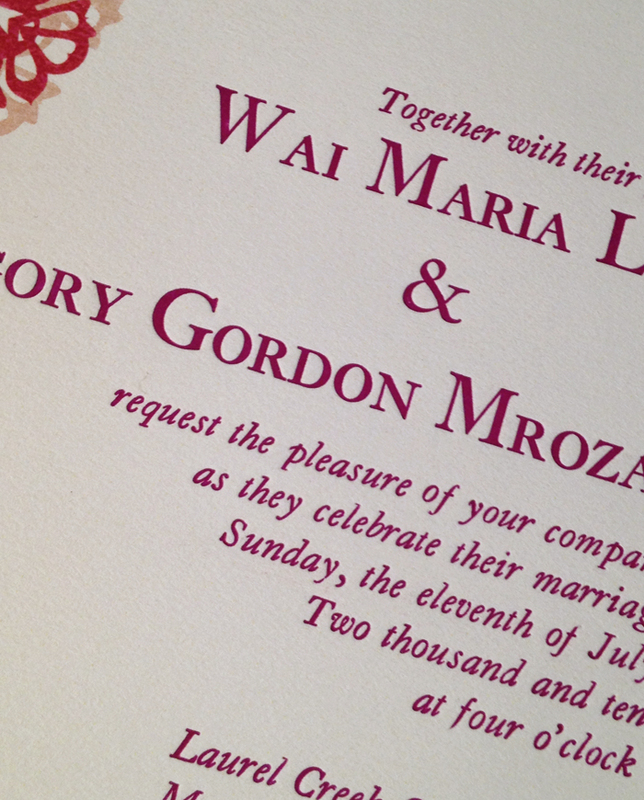 With close guidance, you will make your OWN personalized, custom wedding invitations in LETTERPRESS! 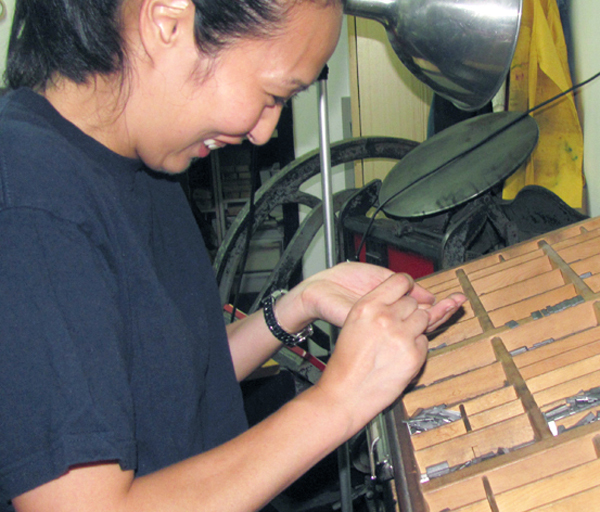 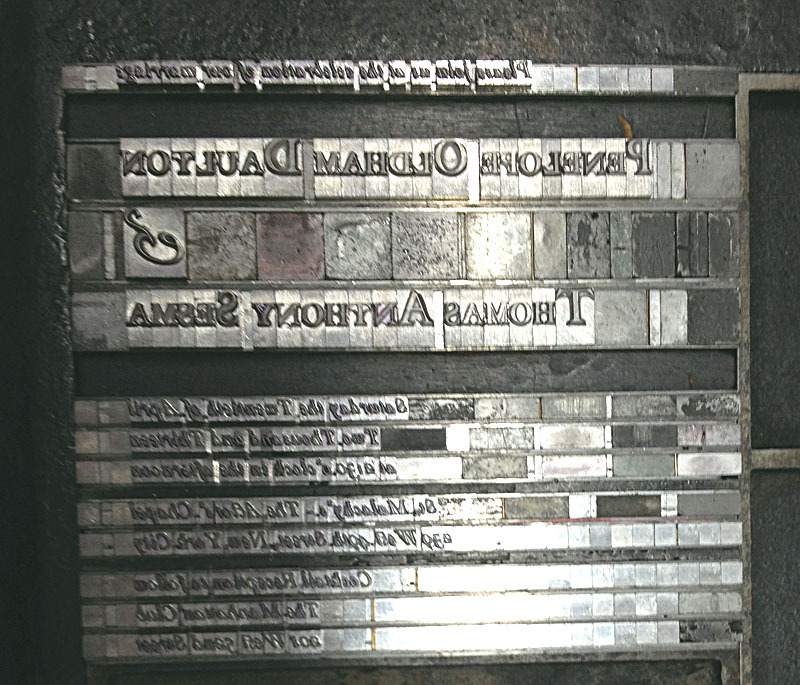 as you learn to design your cards, hand set your text using “real” fonts from our metal foundry type collection, and print them with perfection, one at a time, on our awesome press. 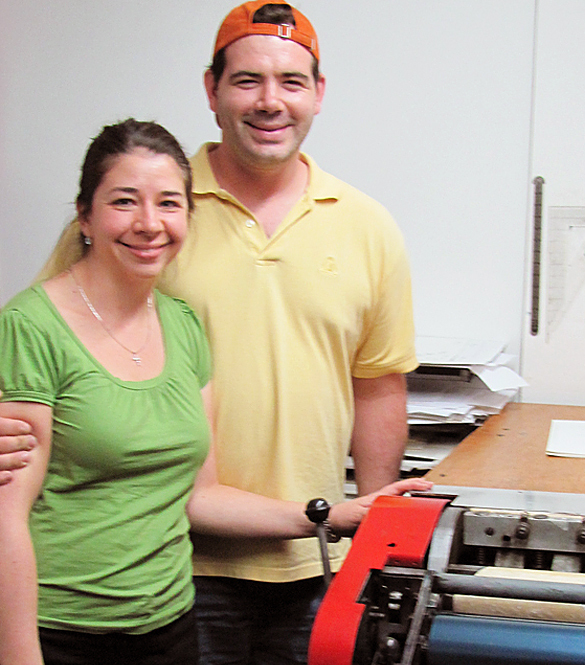 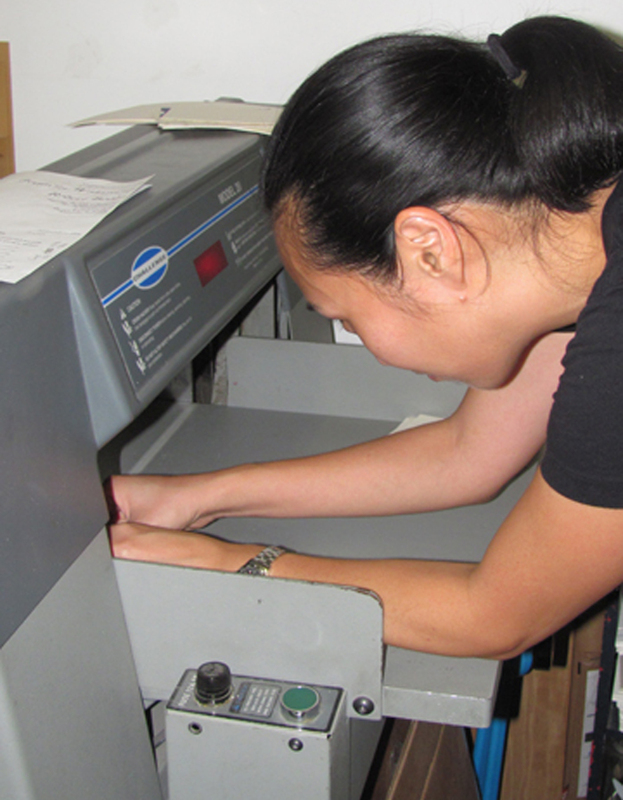 You will gain an understanding of planning, designing, choosing paper and paper qualities, and specialized printing. 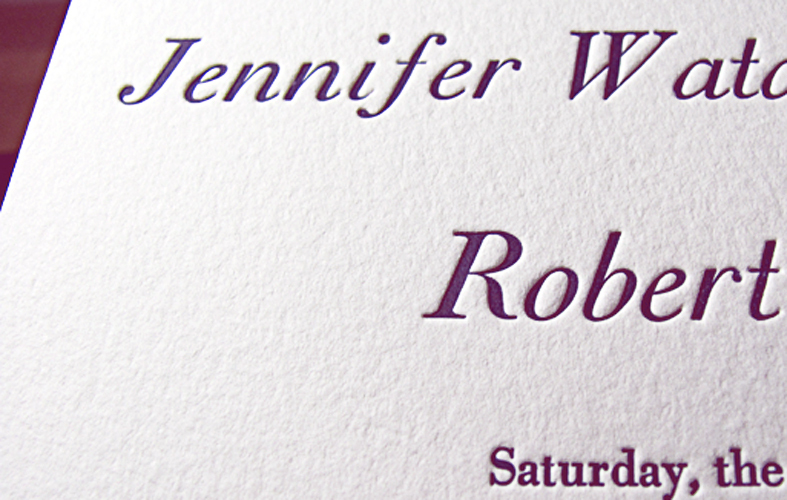 You will create a one- or two-color main invitation + reply card for your special day, and print them in elegant letterpress! 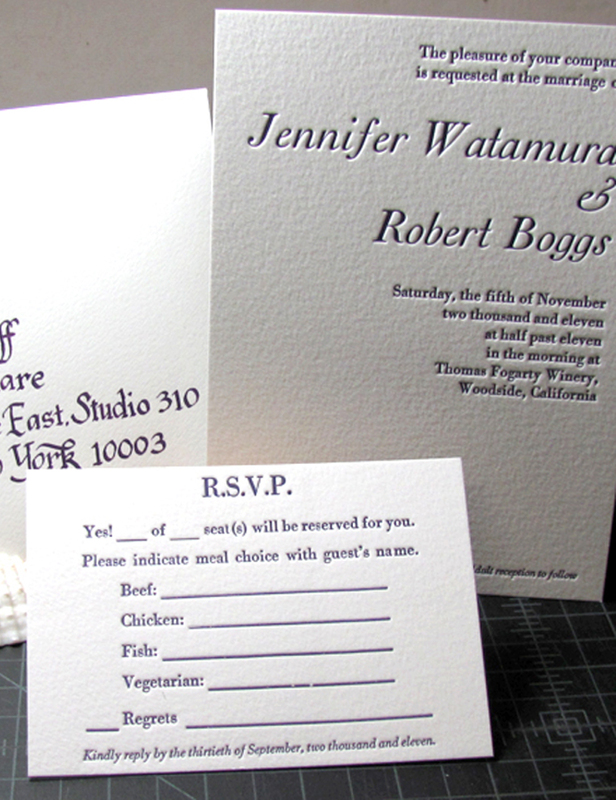 Save the Date cards, Thank you cards, and Envelope printing are also possible with additional studio time. 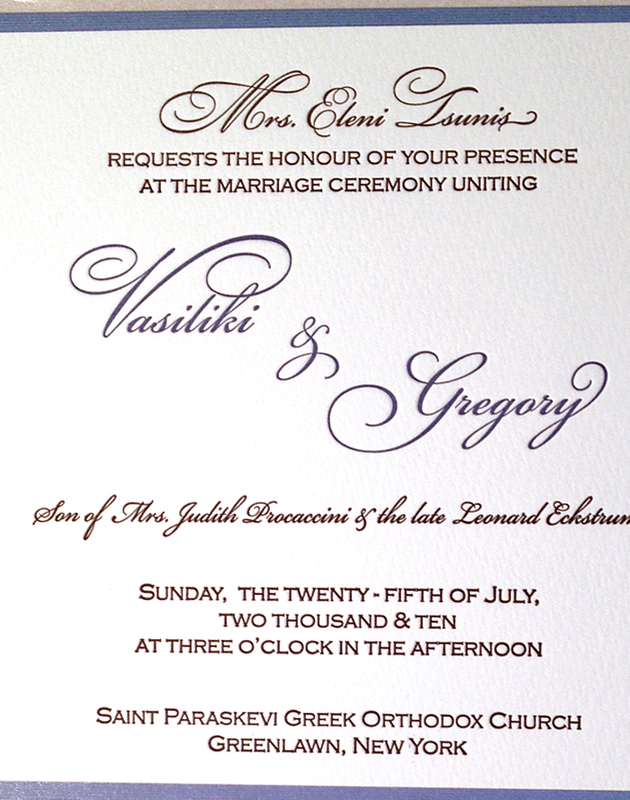 If you would like to combine this with a design from your home computer, we will guide you in this too. 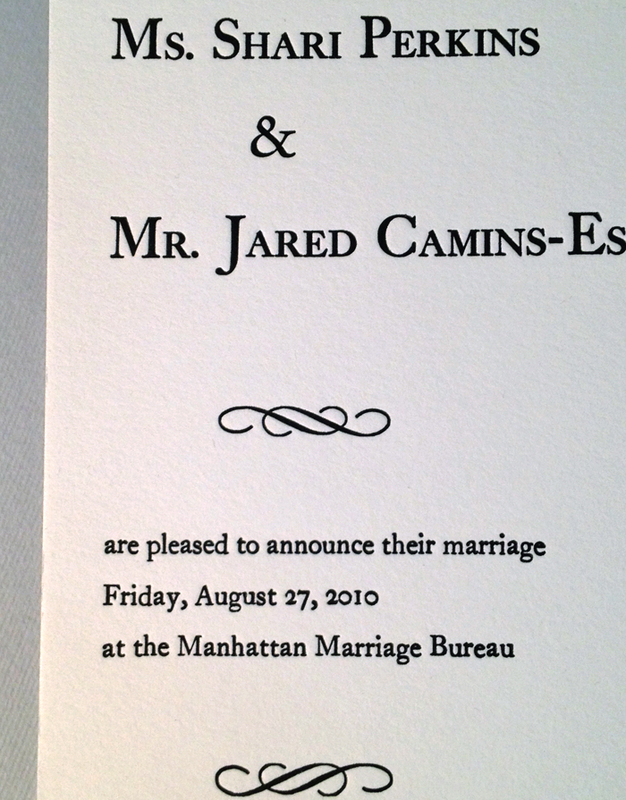 This is perfect for a quantity of 50-100. 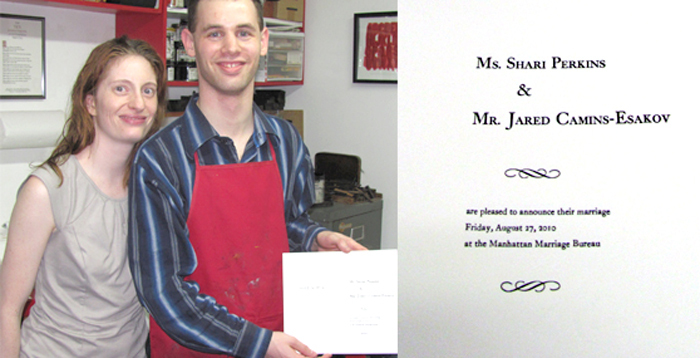 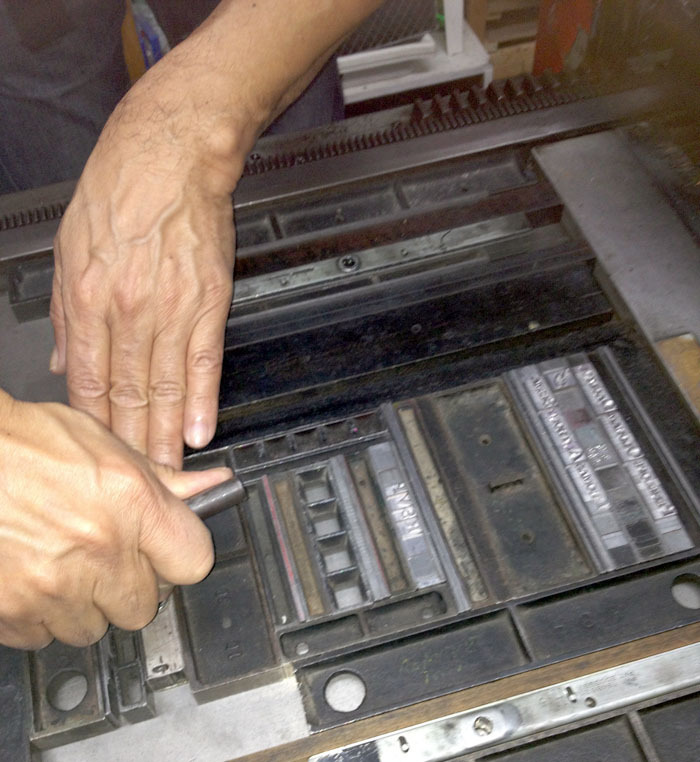 It is a memorable and unique experience, offered only at Intima Press. 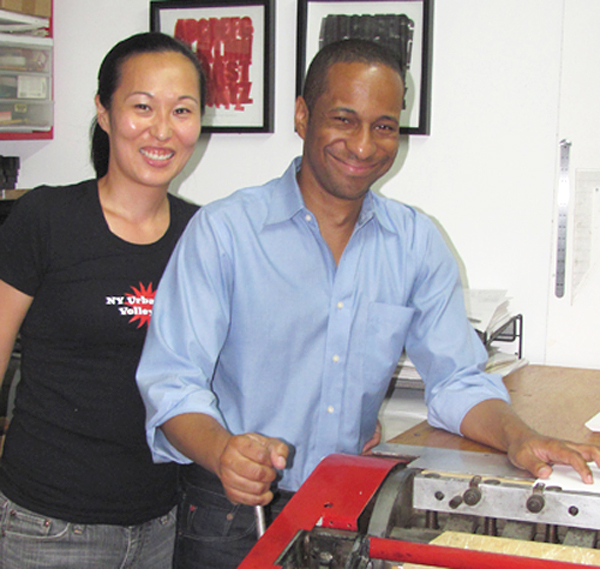 inquire about private group rates or private individual tutorials.